When he wrote that, Pablo Picasso was referring to his use of available colors. 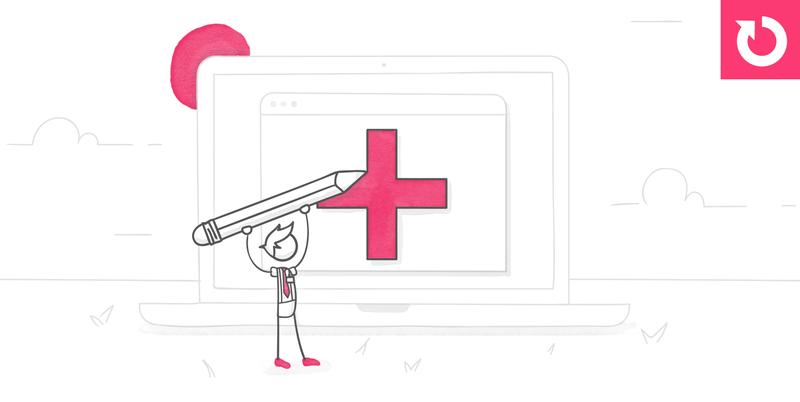 In many ways, artists and elearning designers are a lot alike. Each begins with a blank canvas, has limited resources, and strives to create high-quality products. This week we’re removing your blues, reds, and every other color in your digital crayon box and focusing only on using black, white, and tints of black. 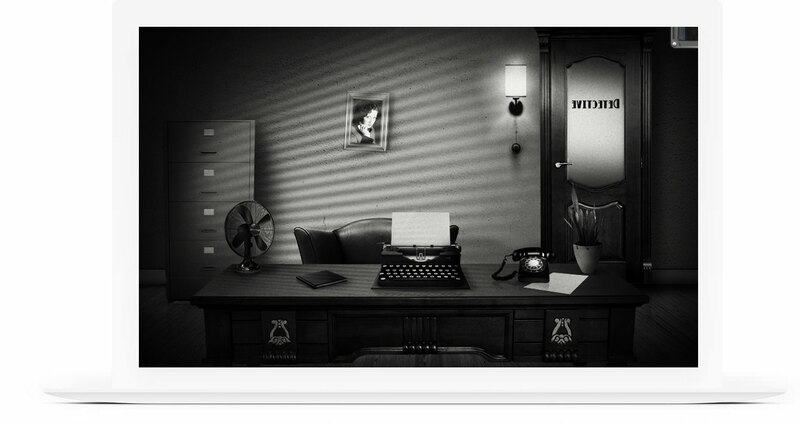 Here's a great example of a dark, noir-style design in e-learning. The project won an Honorable Mention in our 2015 Guru Contest. This week, your challenge is to design a short module or interaction using only shades of black. You can use as many shades of black as you like, but you must use black as the base color. Wishing you an off-color week, E-Learning Heroes! I'm looking forward to seeing what everyone comes up with this challenge. The example is phenomenal. I agree, the fraudulent pharmacist is amazing! I love this idea Dave, look forward to it! Yes, I like the combination of hand-drawn elements and geometric objects with the animations. The questions are pretty diverse and interesting as well. But I kept falling into darkness once the dual-wheel graphic came in. Thanks for including this one Veronica. I was blown away when I first saw it so it is nice to get a chance to revisit it. This is awesome! The ambient music totally brings it to life! So Dave, are we saying NO colour at all? I don't like the word "no" especially when it comes to the challenges and extra butter on popcorn. The noir style allows for color so go with your own interpretation. I can see how a single accent color would work well with a mostly black/white design. To quote Tim Gunn: "Make it work!" That's very elegant Tracy, nice work! I love the look of that, Tracy! Tracy, there's a nice variety of layouts here. I like the "let there be light" effect. Great design! Thanks for sharing the template. Here are two oldies: Dessert menu: this was for the zoom challenge, it's almost all black and white, http://veronicab.com.au/zooming-images-storyline/ CSI: this was for the skeuomorphism challenge, also with minimal colour: http://veronicab.com.au/two-demos-skeuomorphism/ I'm committing to doing a new one this challenge! Veronica, great choice of fonts on this one. You sucked me in with creme brulee! I really like the shapes you used for these images. Thanks Linda! Looking forward to yours! Veronica, that was neat. It's cool to see some of Robert Longo's work again. I saw a very cool exhibit of his work at the MCA in Chicago back in the late 80s or early 90s. William Kentridge is another excellent artist from South Africa you should check out. Thanks so much Dan! I'll be sure to check him out. That was cool, Veronica! Love the shapes & the gradient title, especially. I agree with Tracy, this was great! Your font and design choices really make everything stand out and not blend into the background, which could easily happen with just B&W. That's so awesome Dan, got me hooked til the end, you are very creative! Thanks Veronica, were you able to name him/her? This is great Dan. I assume you did all the music. Thanks Linda, I'm glad you got into it! Really fun, Dan, and I named that scoundrel! Well done Tracy, it was fun putting it all together. You've done a great job with your interactive videos, Dan. Can you cross-post this example in the video quiz challenge? Thanks for the suggestion David, yes I will post it there. OMG Nancy, how did you make that?! That is going straight to my 'Inspiration' bookmarks, love it, love it, love it! Thanks Veronica, I used Storyline and After Effects and got the photos from iStock. I think the key to this is to use really strong images. This is fantastic Nancy! I've never used After Effects- how long would you say it took you to build? Hi Allison, it took me about 2 hours to do this but I used a lot of pre-defined effects. After Effects has a huge learning curve and I am just scratching the surface. Fantastic, Nancy! What tools did you use to create it? I'm glad you like it. I used a combination of Storyline 360 and After Effects. Nancy, I restarted this example for several times! You are a magician) I love it so much! Wow Nancy, there was so much going on there, but it all worked together beautifully. Even though you said you used After Effects, it still takes a good eye for graphic design to put it together into something this attractive. Well done! Sorry still picking up all the bits and the pieces of my blown away mind! This is super next level Nancy, well done! Wowsers! Great use of after effects and Storyline! Really great Darren! I love your use of zooms to show attention being focused. Nice work Darren, very spooky! I really liked how you used zooming throughout. You have the film noir art style down to a tee in this example, Darren. Well done! Nice use of zooming and colour. Darren, well done. I like the idea to navigate through the cours with the help of colored details. Well done Darren, Yekaterina makes a good point about you're using colors to lead learners to click certain spots to go forward through the interaction, that's very intuitive. Thanks for all the great feedback guys, I'm a big fan of finding ways to avoid using a next button, I'll certainly be using (and abusing) this kind of interaction in the future! Very nice Dianne! That's a great tip about having whole-course audio by editing the file after publishing the project. Nice animations and transitions, Dianne. Some really cool demo's everyone! crafty dog! love the audio and great use of sliders! This is so fantastic! I especially loved the sound effect when you zip up the bag. This is so much fun Chris. I love your sense of humour and how you made use of colour. I also loved the way the story moved between the comic book panels. Ahhh Chris, totally engaging and well-executed! Funny, looks great, plenty of interactivity! Chris, That was fun. Yes, the zipping up of the bag was clever. I loved the jagged borders and the comic strip look. Nice use of pans and other effects within the individual frames, very cool! Very engaging, Chris. Wonderful example of the old detective show genre. Nice one. We used to call this game Pong. PONG! I love Pong, that was so great Allison! Wow Allison, that was fun and rather complicated to build! Now I know who I'll go to with my triggers/variables questions! Welcome to the challenges Laurel! That was really, really nice! Great topic for a black and white challenge too. Look forward to seeing more of your work! Laurel, that was neat. I'm a big astronomy fan, so this was right up my alley. Interesting to learn the little bit about the slaves finding freedom. I won't say more, so I don't give it away. What a great subject for this challenge and I actually learned something. Great job! That's a lovely interaction Omie, well done! Beautiful design Roberto, muy lindo! Nice design! Did you use Adobe Animate to create the burst/stars animation part of the piece? Thanks Laurel, I just used PNG images and animated them using storyline. Thanks Dan, glad you liked it! Wow nice work Regan and welcome to the challenges! Really liked the interactions and ambience here. Look forward to seeing more of your work! Thanks Veronica! I always look at the challenges but never find the time to participate. Will have to change that going forward. Thanks Linda! I thought about shuffling the answers so they weren't all just the top one, but had already spent enough time on it at that point. 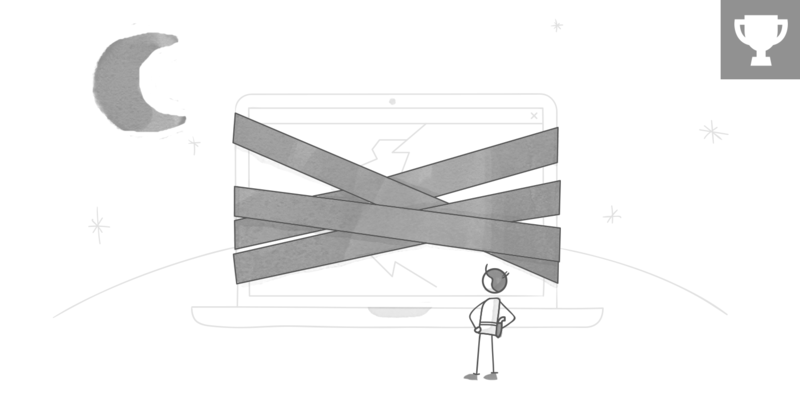 I was just going off the 'special option' at the bottom of this article (https://community.articulate.com/articles/heads-up-articulate-courses-will-no-longer-work-on-dropbox) about Dropbox no longer supporting Storyline courses. Seemed to have worked! Thanks Dan! Felt good to revisit Adobe Flash after quite a few years away from it. Hello, my first share ever in here :) http://s3.amazonaws.com/tempshare-stage.storyline.articulate.com/sto_1bjbasaev1lk51qun3jho0g1iet9/story.html I made this visual concept animation for my fav fashion collection. The idea behind it was that I wanted to try/play with Storyline as animation tool and visual tool too. Anna, I tried playing it, but just got a black screen. I could see it, there was just a slight delay before it started. Very cool Anna. I liked the animations, it kept my attention. Very creative and cool. Really like this! Yes, I tried it on another browser at it works. I liked the smoke and balloon elements, which fit the fashion theme and set the mood. Thank you for your feedback Dan!